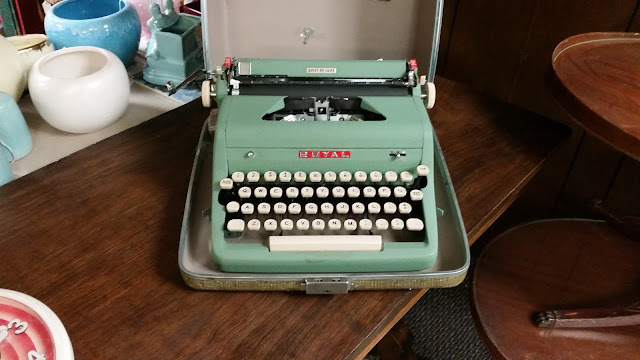 I was able to go on a typewriter safari today, though it turned out that 2 of the stores I generally frequent (and find machines at) were closed early, so I will never know what treasures I possibly missed out on. Schrodingers antique store, if you will. I found a whopping 4 machines in the other stores I traveled to. Did I take one home with me? If so, which? 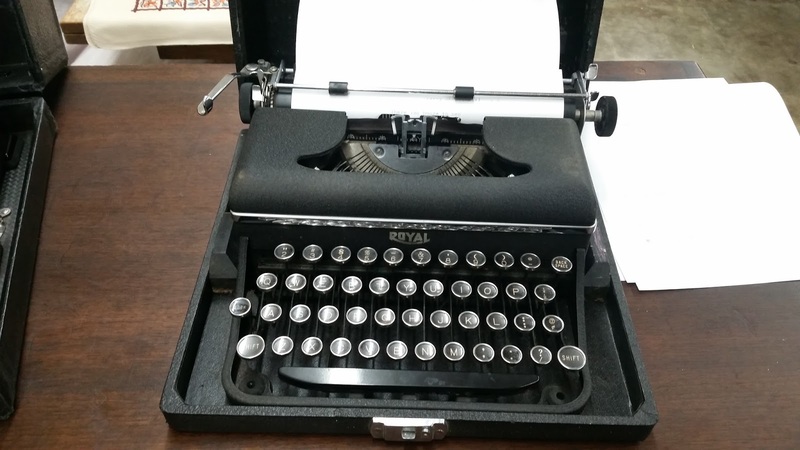 A Royal Mercury, or a model near it. In working condition, relatively clean. Backspace caused a bit of a skip however, acting like a tabulator almost. 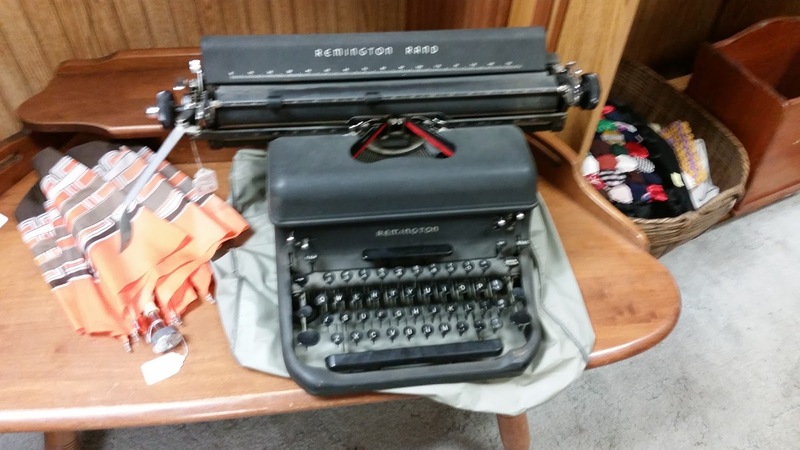 A Remington Noiseless, in decently clean shape. Margin release was broken, and the bell did not work. Otherwise, in respectable working condition. A green Royal Quiet Deluxe, with the line-spacing button stuck in the platen so that said platen was not catching on the line spacing gear. Otherwise, in good working order. 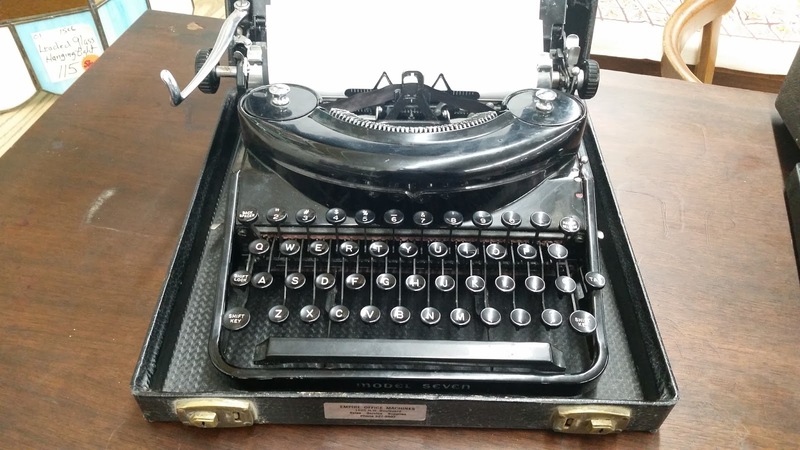 A Remington Rand desktop, with wide carriage. Dusty, but fully functional upon inspection. 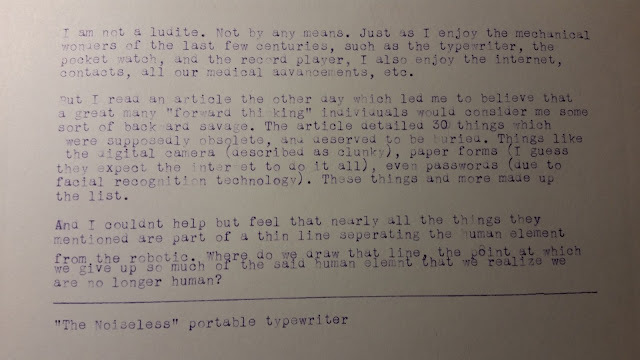 The Safari led to fewer typewriters found than one may have on the East Coast, but I was just glad to find some regardless, and all considerably more affordable than antique stores tend to price them. The time are a' changin'. Exponentially.